Taste Ponsonby while learning about it's fascinating food history. Your guides food historian and Ponsonby local André Taber and food writer Lisa Loveday will lead you through just some of Auckland's famous food mile where history abounds and trends begin. 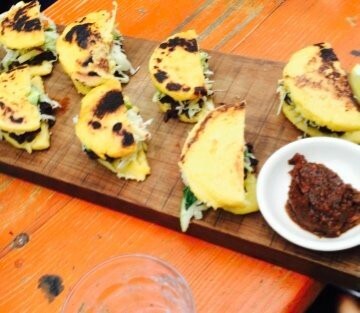 The tour will stop to sample and taste from some great Ponsonby restaurants and businesses. This tour is 90% vegetarian and gluten free and there is alcohol served on the tour. Our last stop you can linger so allow 4 hours for the tour. Wear comfortable shoes and bring an empty stomach.